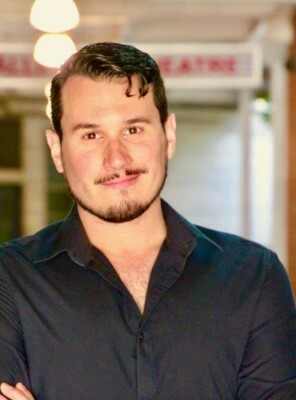 Take the next step in your musical theatre journey with multi-talented instructor Dan Micciche. Dan is the musical director and conductor for the national tour of Wicked. He will be in South Bend for one night only! Learn from a Broadway pro at a fraction of the price of similar instruction in NYC. As an actor, Dan performed in the Broadway company, national, and international tours of Chicago: The Musical. As a vocalist, he performed a solo role in Bernstein’s MASS at Carnegie Hall and the Kennedy Center. Currently Dan serves as the musical director and conductor of the national tour of Wicked. Also an accomplished pianist, Dan played in the Wicked orchestra before assuming conducting duties. When not on the road performing, Dan teaches voice lessons to professional actors in New York City. He is a graduate of the musical theatre program at The Boston Conservatory. time for Q&A with Dan about his career, including performing on Broadway and touring with Wicked. Select participants will have the opportunity to perform a song for a mini private lesson with Dan. To be considered for this opportunity, please submit a video of yourself performing a musical theater style solo song to [email protected] no later than October 20. Please understand only a limited number of space are available for this solo instruction; registration does not guarantee of selection. This class is open to current students from grades nine through age 22. Parents and educators are welcome to attend and observe the class for a reduced fee.